As POTUS 45 rolls back environmental protections, climate change is sickening the Earth, us and the species we depend on. The rusty patched bumble bee probably would have preferred to remain in obscurity, humming from one flowering plant to another, pollinating away and quietly contributing to the estimated $3 billion in pollination services bees and other insects provide in the United States. Living under cover. Minding his own business. And ours. It was like that for this valuable species, outside of entomology and preservation circles, until recently, when it was listed as endangered under the Endangered Species Act. The rusty patched bumble bee became the first bee to make the list. It has been taking a nose dive since the 1990s, and it’s now in danger of extinction. With it could go the fate of production agriculture and life as we know it. Kind of apocalyptic, right? Well, you know what they say: “Desperate times call for desperate measures.” In this case, it’s desperate words. Undeniable ones. A statement from a consortium of physicians and scientists about how climate change is making people sick. Literally. 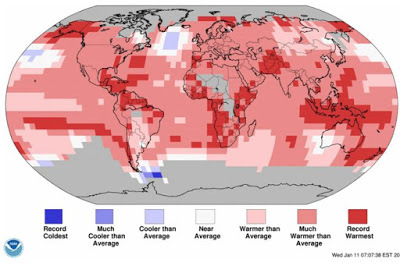 A report that 2016 was the hottest year on record. Again. POTUS 45’s rollback of the Clean Power Plan and a host of other environmental protection laws, rules and regulations. Entomologists and environmental groups have been working to get the rusty patched bumble bee on the endangered species list for years. Finally, on March 21, after a delay by the 45 administration, our bee made it. Now the question is, can the rusty patched bumble bee make it back? They are mighty parts of what sustains people and our world, and without them, our crops will require laborious, costly pollination by hand. Hello? Ag and food industries? You hearing this? Causes of the decline in rusty patched bumble bee populations are believed to be loss of habitat; disease and parasites; use of pesticides that directly or indirectly kill the bees; climate change, which can affect the availability of the flowers they depend on; and extremely small population size. Chances of the bee’s recovery are far from certain. This group includes more than 400,000 doctors, or more than half of all U.S. physicians. It represents 11 of the top medical societies in the United States, including The American College of Physicians and the American Academy of Pediatrics. Doctors in every part of our country see that climate change is making Americans sicker. Physicians are on the frontlines and see the impacts in exam rooms. What’s worse is that the harms are felt most by children, the elderly, Americans with low income or chronic illnesses, and people in communities of color. Injuries and deaths from violent weather. Lung diseases made worse by extremely hot weather. Increased spread of diseases like Lyme disease or Zika virus by insects and through contaminated food and water. Mental health disorders such as increased depression and anxiety. BBC News recently reported on a “detailed global analysis” of global climate conducted by the World Meteorological Organization. The WMO looked at information from 80 national weather services around the world for its work. CO2. That’s the stuff that accelerates global warming, which contributes to the degradation of habitats, ecosystems and species like the rusty patched bumble bee. 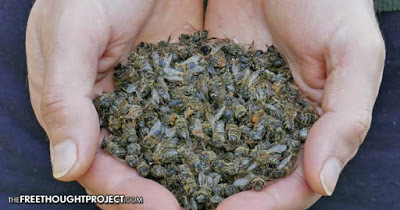 Keep in mind, this is only the first bee to be listed as endangered. Other pollinators will probably qualify in the future, assuming the 45 administration and Congress don’t get rid of the Endangered Species Act altogether, which they’re attempting to do. By the way, call your U.S. reps and senators – tell them to resist any effort to repeal the Endangered Species Act, any element of the Clean Power Plan or any other environmental protections. Wherever you are, call your senators (here’s a list). You can use the search tool at the top of this page to find your representatives. There are thousands of scientific studies and probably hundreds of thousands of news reports about the negative impacts and consequences of climate change for communities, countries, ecosystems, waterways, oceans, societies and even the human race. Yet the discussion of whether climate change and global warming are real is still going on. The deniers, motivated by greed or fear and led by POTUS 45, are now moving in the opposite direction from where we need to be headed. While we continue to gnaw on that bone, proverbial canaries in coal mines, like the rusty patched bumble bee, continue to nosedive into oblivion. Remember, our friend is only the first bee to be listed as endangered; others will surely follow if things don’t change. Like, right now. Their extinction could very well be the harbinger of our own. Wake up, world. We’re ailing patients on a sick planet.